Even on those grounds, Justice Sonia Sotomayor argued in a 58-page dissent that the Michigan amendment violates the 14th Amendment to the U.S. Constitution, which guarantees to all people “equal protection of the laws.” In this case, the board of the University of Michigan, consistent with the court’s decrees on integrating housing and schools, had sought to protect the rights of minorities to receive higher education. 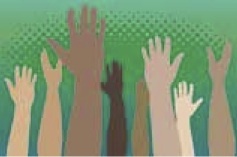 Furthermore, equal protection jurisprudence focuses on the process by which all citizens, including racial minorities, participate equally in self-government. Historically, minorities have been squeezed out of the process. Making it more difficult for a member of a racial minority to attend college, says Justice Sotomayor, is like making one competitor in a race “run twice as far” as the others. Citizens who respect the court and the democratic process but also value diversity in education face a quandary: How can policies be implemented that promote the goal of educating citizens and bringing them into the process of self-government, as rightfully endorsed by Justice Sotomayor? Can these goals be achieved without the aid of race-based admissions policies? The answer is yes, but it will require work. More and more educators now endorse class or income level as the primary factor for consideration in college and university admissions. They argue that if accompanied by vigorous recruitment, class-based admissions policies can help to bring diversity to institutions of higher education while also serving an underrepresented community, like students from poor or middle-class backgrounds. In her new book, Place, Not Race, Sheryll Cashin proposes that we reimagine affirmative action. For universities she suggests alternate strategies to achieve a common goal: recruit students from single-parent and less-educated families; give full scholarships to students from inner-city schools; and follow the example of Texas in requiring their public universities to accept the top 10 percent of students from every high school. These are all good ideas. At a time when inequality is on the rise and college tuitions are climbing ever upward, college admission officers have a responsibility to find ways to bring students of all economic backgrounds into their institutions. Increasing economic diversity and maintaining ethnic diversity without racial preferences will be difficult. Michigan has seen a drop in minority enrollment since the state amendment was passed, but according to the Century Foundation, other states have been able to preserve racial diversity by focusing on economic diversity. More state universities should try this approach. If a college can afford to recruit high-quality athletes, then surely it can find ways to recruit more heavily from poor and minority communities. The role of the university, in addition to career preparation, is to develop the characteristics of good citizenship. If a student lives and studies only with classmates who look and think like himself or herself and come from the same economic background, a major component of a university education is lost. When universities deliberately attract diverse student bodies, it is not just minority and disadvantaged students who benefit, but all students and indeed our democracy. For the good of society, educators must redouble their efforts to make the world of higher education truly diverse, in the richest sense of that word. It makes a lot more sense to focus on the actual life circumstances of the prospective students instead of the races of their ancestors when trying to achieve diversity in a school's student population. Justice Sotomayor's argument in her dissent is beyond parody. Claiming that the 14th Amendment, which guarantees "equal protection of the laws" allows the law to treat people unequally is a claim that would make Alice's head spin even in Wonderland. For the Justice, equality appears to mean equality of outcome, not equality of treatment. Nor is the editors' position much more commendable. The objective they support is "diversity", by which I assume they mean satisfactory percentages of minorities in universities. Their support of income and class based policies to achieve that goal is simply an acknowledgment that there is more than one way to skin a cat. If the law forbids making a left, then make three rights. We cannot judge the validity of a law based solely on the outcomes it produces (or, more accurately, is intended to produce). The 14th Amendment prohibits racially based discrimination, regardless of how desirable Justice Sotomayor thinks it would be. The final three or four page section of Justice Sotomayor's dissent is an eloquent account of the effects of discrimination, especially the feeling it may give a citizen that he "doesn't belong here." I think it should be required reading in every civics course in the country. Maybe consider culture not race. Sociologist Jennifer Lee, who is Asian, says that on average Asian students have an advantage being admitted to colleges because of their (at times intensely tiger-parented) education-focused culture. On average, inner city black students are at a disadvantage because of their culture, which includes poor schools. She is for taking these differences into account, for now, compensating for the cultural barriers by some preferential admission policies, and for the future, doing what can be done to remove these barriers. But these barriers exist and cannot be ignored. And they are not racial or genetic, but cultural. Knowing this, we should assist those whose culture holds them back from certain opportunities like education. We don't create our own culture. Individual students are not responsible for their culture. Give some a break. An example of this cultural advantage was summer school classes at a major state university in the early 1960s when many nuns (in habits) took classes. The rest of us were at a disadvantage, as the nuns were super-studious. First day, we surveyed the room. A large group of nuns meant all the As and maybe all the Bs and even most of the Cs were gone, as grading then was on a strict curve. We then decided whether to stay in the class. In 1953, when I graduated from a Catholic elementary school in the South Bronx, there were no students of color in the school, even though my block was populated by quite a diverse population. The nuns announced that the school would be integrated that fall. I assume all Catholic schools were segregated at the time. Actually, that is probably not a good description. More correctly, there were no Catholic school alternatives in our area for minorities, which seems to me to be worse than segregation. For the next four years, I attended a great Jesuit school in Manhattan, and the makeup of the seven class years I was exposed to included only one minority student. I used to ride the Fifth Avenue bus with him every day up to Washington Heights. Now that South Bronx elementary school is 100% minority, and families have to make great sacrifices to pay the more than $3,000 annual tuition. Now that Jesuit school has about a 25% minority student population, and reaches out to Catholic elementary schools to prepare young students for high school. If the trend in elementary schools continues, they will be reaching out to an increasingly white elementary school population. The NY Archdiocese has closed more than 20 elementary schools in the past few years, all in "brown" neighborhoods, including the school formerly attended by Justice Sotomayor. Has the Church written off minority elementary education, or have minorities written off the Church? . If our society put as much public investment into getting jobs for people living in poor communities -- without regard to race -- as we put into our overpopulated prisons, the military and corporate welfare (especially "crony capialism"), wouldn't college admissions be far less problematic? In the same time well-bred people who attend high schools or even academic institutions find it problematic sometimes to complete a difficult assignment on a suggested subject. Just for some learners who want to become sophisticated ones, ours suggests a reasonable help with custom thesis papers all made here on time. We make well-organized materials for anyone who needs an outstanding support on their own endeavors. This article also appeared in print, under the headline "Diversity and Education," in the May 26-June 2, 2014 issue.